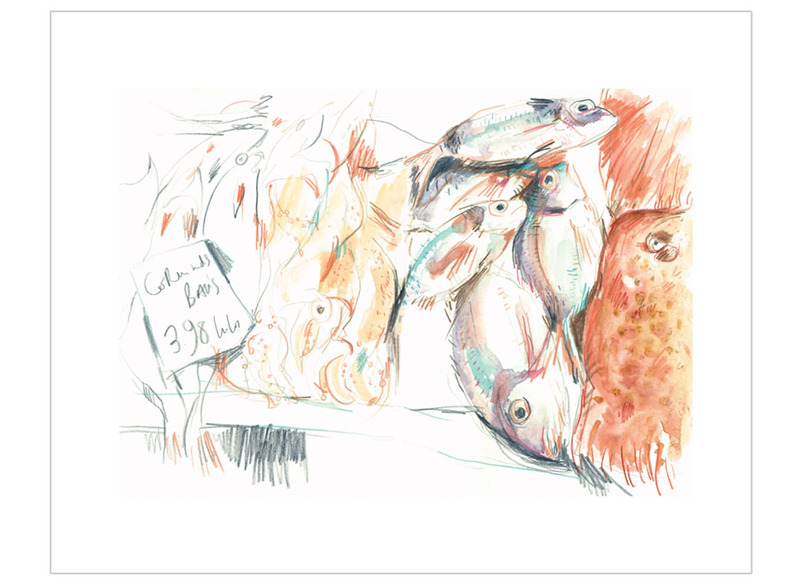 A high quality fine art print depicting a stall of fresh fish at Mercado Central in Cádiz, Spain. 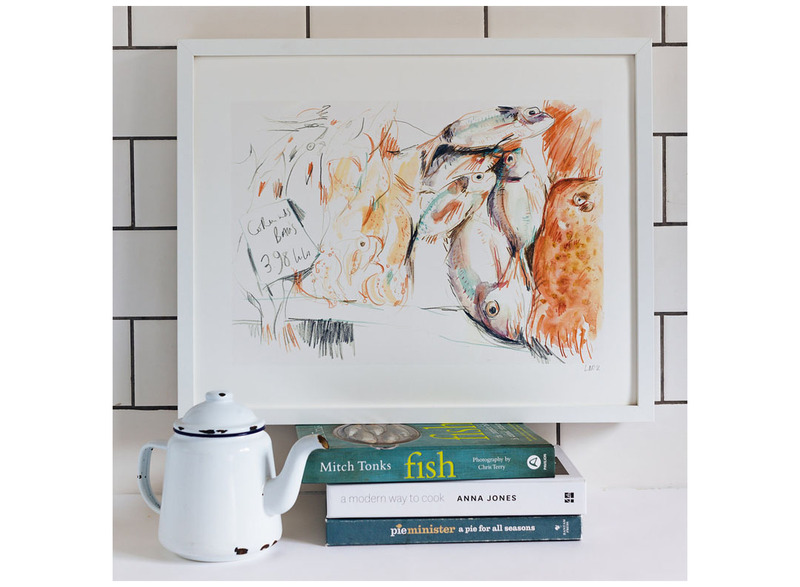 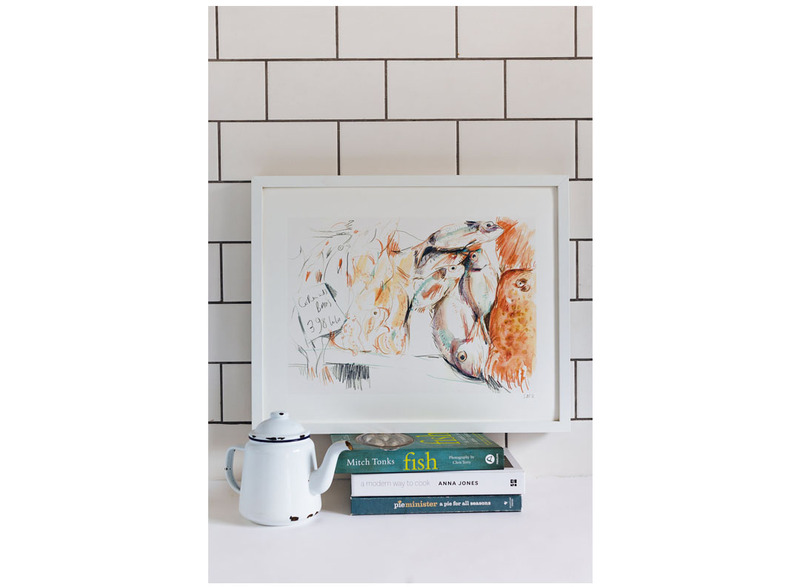 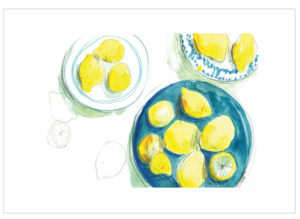 Energetic lines combine with a soft colour palette to create the perfect print for a kitchen. 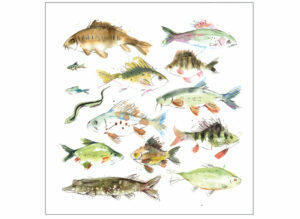 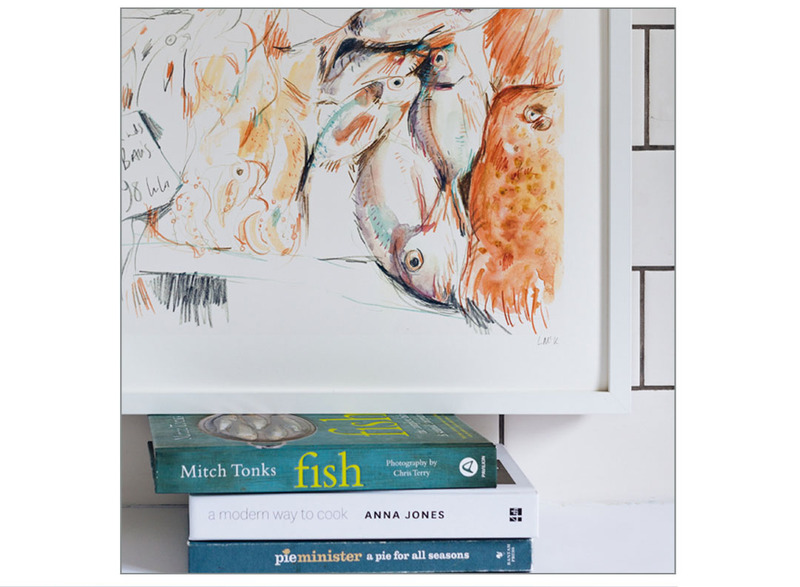 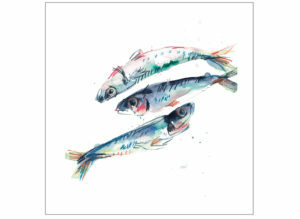 Print of an original illustration drawn from life, whilst standing in fishy water, using watercolour and colour pencils. 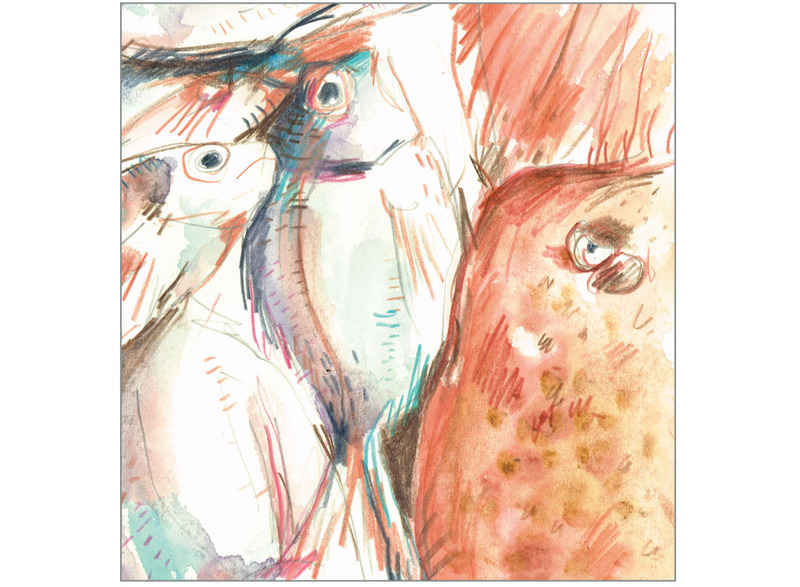 SKU: fish market Category: Fine Art Prints Tags: Bird & Beast, Fish, Food, Giclée Print Want to go back and CONTINUE SHOPPING?